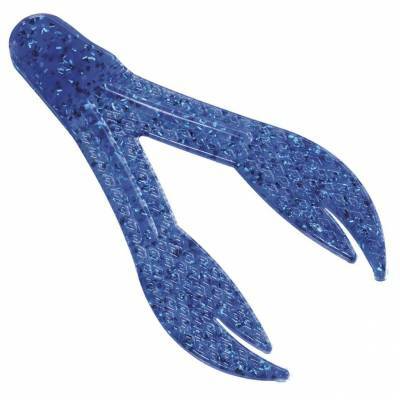 Strike King KVD SR Chunk Plastic Bait - Blue Sapphire. Kevin VanDam and Strike King have designed the perfect plastic trailer that delivers a seductive shuddering action even during slow retrieves. A super soft, salty soft bait loaded with coffee scent, which masks human scents and oils. 3-1/2" long. 7 per package. Assorted colors available.